Join support groups. Continue group therapy and support groups during recovery. Many people in these groups are going through similar experiences in their sobriety. Sometimes friendships develop from going to group meetings. There you can find clean and sober friends who you can call when you feel like you might relapse. Avoid triggers. To remain sober you need to identify your triggers and avoid them. This includes any old friends who are associated with your using drugs or abusing alcohol. There might be certain places that remind you of your times using. Stay away from those places. When you cannot avoid triggers, call on a clean, sober friend who can talk to you to keep your mind from thinking about using. Exercise. A great way to stay clean and sober is to put exercise into your daily routine. Exercising benefits your physical and mental health. Keep a journal. By writing down your feelings, you can reflect on your success and see how your lifestyle has changed. Writing keeps the mind active and you will have less time to think about using drugs or alcohol. Stay active with interests and hobbies. Find new activities that interest you such as walking, joining a gym, participating in a book club, playing sports, or you might be creative and join an art class. When you clear your mind of all toxic substances, you can focus on things or activities that interest you. Make sure the time you once spent abusing substances is replaced with fun, healthy hobbies. 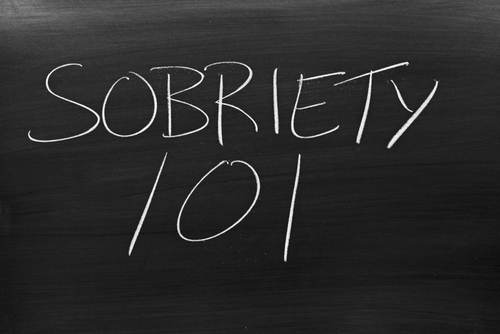 This will help you stay clean and sober. Treatment will teach you how to rebuild damaged relationships with loved ones. Adjusting to a new lifestyle will take time, but you will be able to stay clean and sober and have fun without drugs or alcohol.